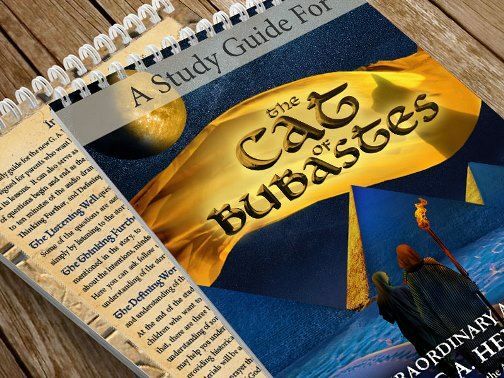 Heirloom Audio Productions has done it again with their newest CD: The Cat of Bubastes! We simply adore the Heirloom Audio dramas. In the past we have also had the pleasure of reviewing Under Drake’s Flag, With Lee in Virginia, In Freedom’s Cause, The Dragon and the Raven, and Beric the Briton – all of which we have loved. The Cat of Bubastes is based on G.A. 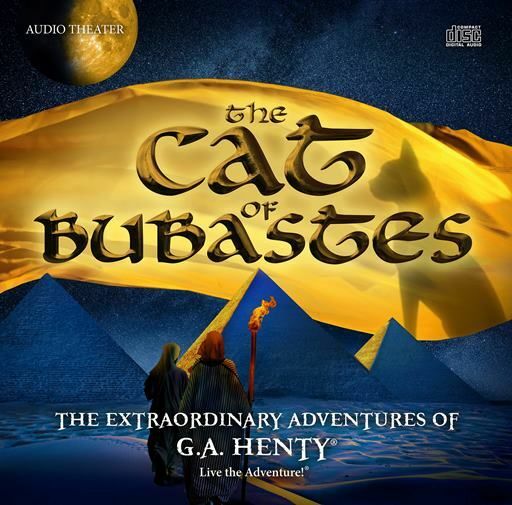 Henty’s book Cat of Bubastes – A Tale of Ancient Egypt. The classic tale is brought to life with unparalleled theatrical music, realistic background sounds, and the voice talents of Brian Blessed, Anthony Daniels, Sylvester McCoy, Elizabeth Counsell, Russel Boulter, and John Rhys-Davies. The amazing cast . . .
To get an idea of what I’m talking about, take a look at the trailer below . . . The Live the Adventure Letter – The purpose of this newsletter is to bring Christian history to life through news, articles, and lessons that encourage parents and their children to see history as God’s providential handiwork. Beloved author G.A. Henty certainly saw the world though these eyes and that’s why much of the content and reference points will be centered around his adventure stories. The 47-page study guide takes The Cat of Bubastes from enjoyable family listening to a full blown unit study. 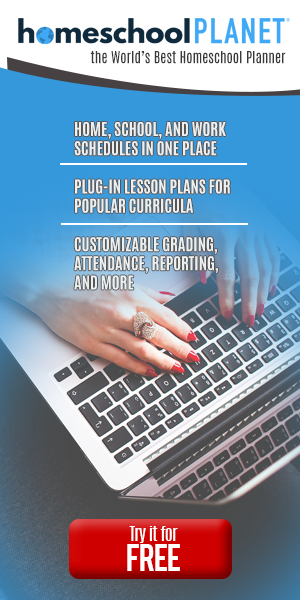 It offers two different types of questions for each section (track). The first set is basically answering questions pulled directly from the story, and the other is reflective critical thinking. You’ll also find vocabulary words, Bible studies, suggestions for other books, and links for virtual tours. The story is just over two hours in length, so we had to break it up a bit. Some we listened to in the car, some we listened to during quiet time, and some we listened to during lunch! Most of the time we lingered longer than usual, especially during lunch! Like the other productions we’ve heard from Heirloom Audio, we loved this one too! We listened to the story as a family, so we had ages 2, 4, 5, 13, 17, and adults listening. Technically it is recommended for ages 6-adult, but we all enjoyed it!! Occasionally, I would ask some of the easier questions from the study guide after listening to the story. Being a Charlotte Mason-esque homeschool, I’m not super big on questions and answers after reading or listening to a story. I just chose a few to make sure the kids were actually listening to the story- they usually answered the questions quickly without any issue. As expected, The Cat of Bubastes was a hit. I plan on listening to the story over and over in the coming years.